I write for the Oregon Encyclopedia on occasion. The first article I wrote was on a real character from Harney County: Bill Hanley. His memoir in journal form, "Feelin' Fine", is worth a read. He was known as the "Sage of Harney County". The second article is on The Edward Hines Lumber Company and the birth of the town of Hines. 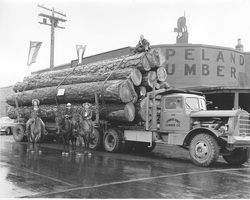 Go to to the Oregon Encyclopedia web site -- oregonencyclopedia.org -- if you're interested in reading about Oregon history and culture. ​Click on the images below to learn more about these topics. The Oregon Encyclopedia web site is a wealth of information on Oregon and I recommend a visit to see what you don't know about Oregon. The site is well done and maintained by volunteers. 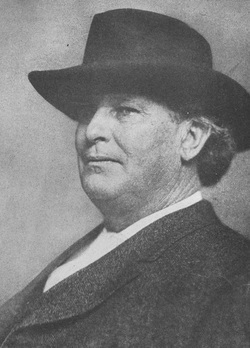 The complete article on William Hanley is found on www.oregonencyclopedia.org, search on Bill Hanley or click on his photo to take you directly to the article. Click on the image to take you directly to the article.